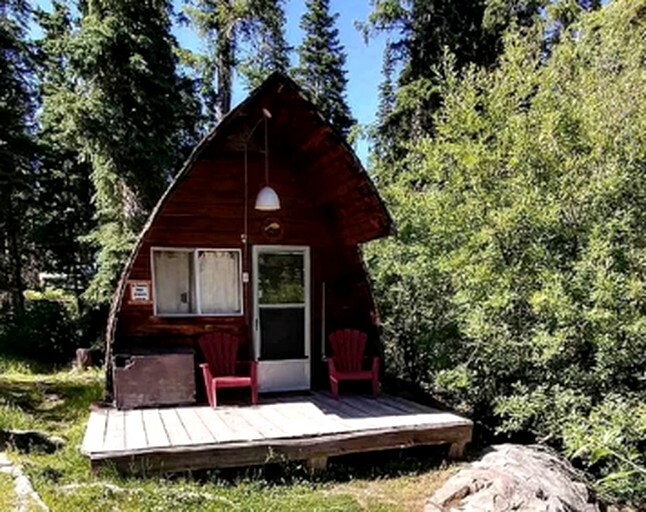 This idyllic A-frame cabin is pet-friendly so guests can bring their pooch along. It boasts direct lake access near Vernon in British Columbia, Canada. It accommodates four guests with one queen-size bed on the main floor and one double bed in the open loft, accessible by a ladder. There are shared shower and bathroom facilities at the site. There is plenty of parking at this glamping site. Guests will have access to a shower house and bathroom facilities. For those bringing their own boats, there is a free boat launch. Boats both with and without motors are rented out at the site. Kids will love the playground which can be found near the boat launch. There is an on-site store selling basic supplies, firewood, locally produced food, and bags of ice. Guests will also have access to the communal giant BBQ. There is a variety of giant outdoor games and board games available. Services include the rental of canoes, kayaks, paddle boats, along with motorized boats. There is an on-site store selling basic supplies. 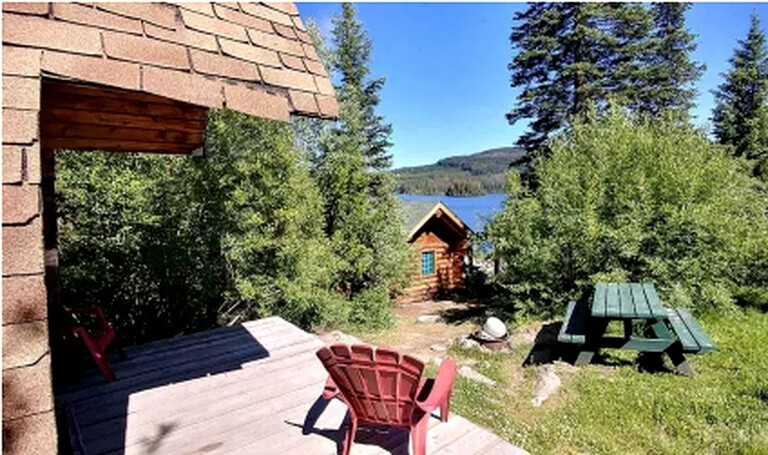 With the close proximity to the lake, guests will never want to leave. 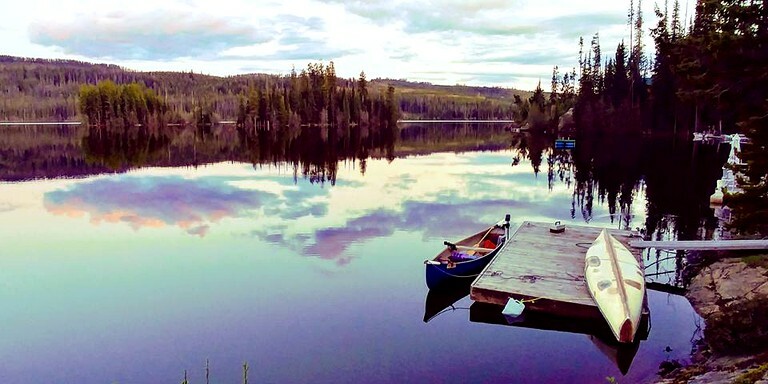 The site offers great fishing in this stocked lake which is full of trout. Guests can rent one of the boats and head out to explore the islands or to cast a line out. The lake is also a great swimming spot for the kids during those warm summers. Surrounding the site are numerous hiking and biking trails including the High Rim Trail, perfect for nature lovers. A bit further away, thrill seekers can enjoy flying through the air on the Oyama zip-line. 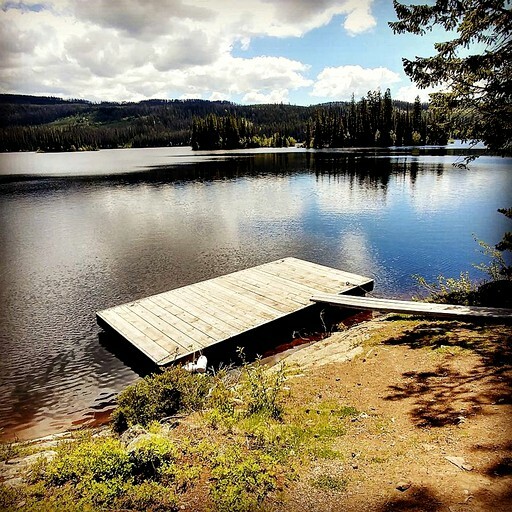 For those looking for a more relaxing retreat, they can head to Lake Country to taste the local wines and explore the vineyards or they can visit the sandy beaches of Lake Okanagan which are surrounded by blue water and ponderosa pines. Check-in is anytime after 3pm and check-out is 11am. This site is pet-friendly. Bedding is available to rent or guests can bring their own. There is a $300 security deposit held on the guest's card at the time of confirmation that will be released back to the guest five business days after check-out pending no damages. Smoking is not permitted on the property except beside the bonfire pit. Guests are asked to use ashtray bucket provided. Glass bottles are also not permitted on the property.